Most of us have tried stevia-flavored drinks, or at least heard of stevia as a sugar substitute. But how many of us are aware of the super-potent health benefits of the herb? Obviously I am, seeing as I’m writing about it, but that is a very recent installment. In the past- before I knew much about it- I would mentally compare “stevia” to “Splenda”; as having a slightly unpleasant overly-sweet taste. After a time, I learned about the potentially dangerous health hazards and chemical ingredients that Splenda contains; while stevia, on the other hand, is completely natural- the leaves and flowers of a plant! Don’t get me wrong- your standard stevia packets often contain a lot of junk and, shockingly, artificial fillers- and even more shockingly but more disturbingly, very little actual stevia. I’ve found this to be the case with many products; falsely leading consumers to buy and ingest “food” that is not really food. So, what are these amazing health benefits? Stevia is known to reduce the side-effects of high blood sugar (i.e. diabetes), and actually lower one’s risk of developing the disease in the first place. As there is a largely unknown correlation between Friedreich’s Ataxia (my disease) and Type II Diabetes, I’ve become slightly obsessed with putting stevia in everything. It doesn’t end there! Stevia is also great for weight loss; largely for the blood sugar-regulating effects that are mentioned above. I believe that when a body's blood-sugar, metabolism, and other vitals are in check, great health is achieveable. For any further reading on my conclusions, please feel free to follow the links I've provided. When you go to buy your stevia, go for the pure kind, not the filler-riddled packets. 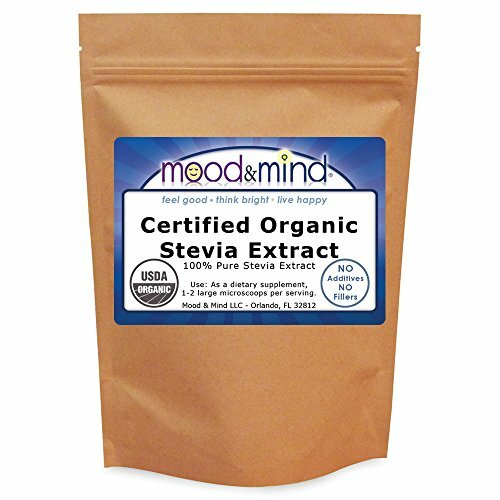 I have not sampled a huge variety of stevia brands by any means- I’ve only tried it here and there, and bought one 4 oz. bag so far (the obsession is recent), but I must say, I am extremely satisfied with this bag. If you struggle with wheelchair life like I do- whether you're a full-time user or a convenience user- you'll understand the benefit and appeal of using a standing-frame. Many of us have been through years and years of struggle with medical equipment coverage through the federal healthcare system. My first manual chair took the company two years to sort out through my MediCal insurance- and I've heard horror stories of electric wheelchair batteries giving out and waiting months and months for a new one. But I won't get into all of that right now. Basically, if you're not loaded with money, getting a standing-frame is no easy feat. Well, I have a solution! 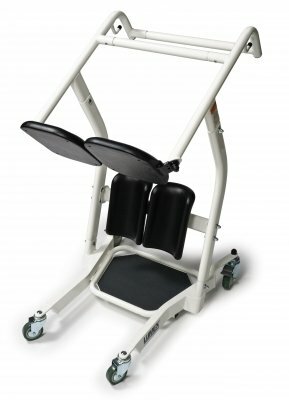 I've spent years looking for the perfect standing-frame; I had an eye out for a manual one to facilitate as much muscle use as possible- an important factor when facing a degenerative-muscular disease. In cute, bright colors (which I found aesthetically pleasing), let me introduce a tummy-time promoting playmat that you and your baby will both love. 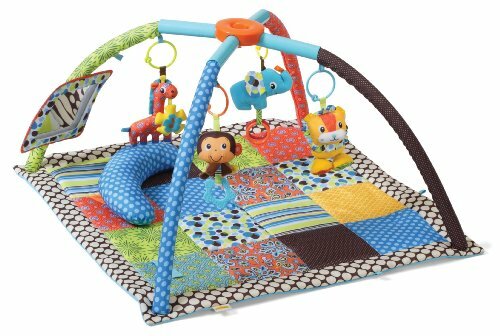 The playmat comes with a baby-safe mirror, four little animal toys to grab, and a U-shaped pillow (all removable). It's also quite handy to bring along if you're on-the-go; there is a knob on the top that will close up the whole thing like an umbrella when you twist it. I have found it to be relatively user-friendly. I am always looking to buy my products made in the USA, and know that many other American mamas see the benefit of supporting local commerce (whether it's made right here in California or on the other side in North Carolina). A friendly reminder- help a sister out!